Written and Composed by Robert Field. 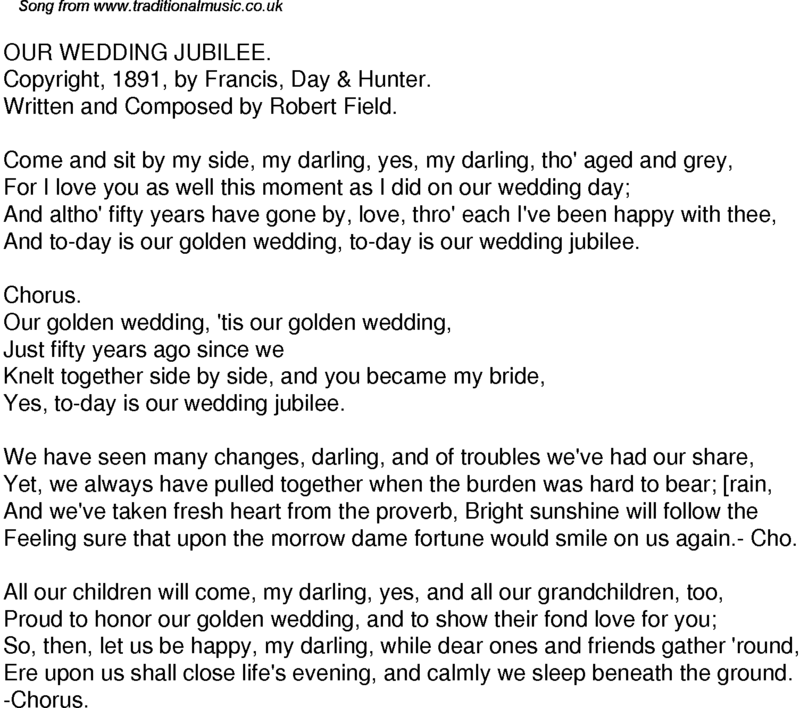 And to-day is our golden wedding, to-day is our wedding jubilee. Yes, to-day is our wedding jubilee. Feeling sure that upon the morrow dame fortune would smile on us again.- Cho. Ere upon us shall close life's evening, and calmly we sleep beneath the ground.